From polka bands to popcorn balls, the more recently bumbling Browns to the thankfully no- longer- burning river, Michael Murphy shares his Cleveland. Raised in The Land, Murphy returns to see that the quirky character of his hometown is no longer mocked, but celebrated (mostly). The city, where high cuisine used to be Manners Big Boy or the Woolworth’s lunch counter, has turned into a culinary hub with multiple James Beard Award- winning chefs. There are now boating festivals and kayaking clubs on the once polluted Cuyahoga River. Cleveland has become a place that people actually intend to visit, not just get stuck in when the airport is snowed in. 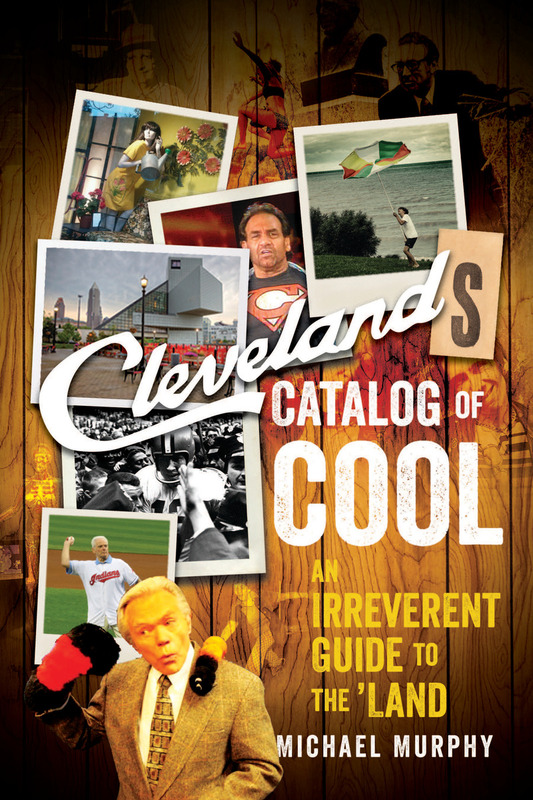 Cleveland’s Catalog of Cool mixes contemporary with vintage stories and profiles of essential Clevelanders, past and present, like the well- known like Jimmy Brown and Chef Michael Symon, the late Harvey Pekar, and, of course, the most quintessential of all Clevelanders, Ghoulardi. Michael Murphy, a book publishing professional, has been a vice president at Random House, publisher of William Morrow, and founder of the literary agency Max & Co. By day two of his first visit to New Orleans in 1983, he knew he was home. He finally moved to New Orleans in 2009, and will never leave. Murphy is the author of Eat Dat, Hear Dat, and Fear Dat.